The Supreme Court today asked the Allahabad bench of the NCLT to deal with the insolvency proceedings against Jaypee Infratech, allowing a second round of bidding. A year after IDBI Bank dragged Jaypee Infratech Limited (JIL) to bankruptcy court for defaulting on Rs 526 crore loan - and after a protracted battle that made the rounds of the NCLAT and the Supreme Court - the ball is back in the National Company Law Tribunal's court. 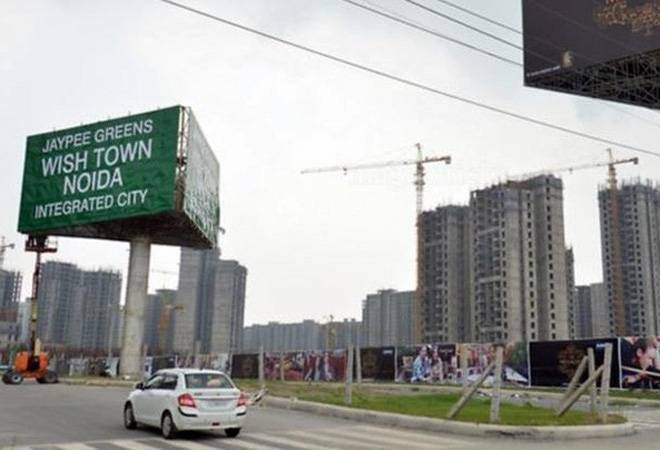 The top court today asked the Allahabad bench of the NCLT to deal with the insolvency proceedings against Jaypee Infratech, allowing a second round of bidding. Significantly, in a major setback to the Jaypee group, the Court barred parent firm Jaiprakash Associates Ltd (JAL) as well as the group's promoters from participating in it. A bench headed by Chief Justice Dipak Misra said the 180 day timeframe set by the Insolvency and Bankruptcy Code (IBC) to conclude the insolvency proceedings - not including the grace period of 90 days - will commence from today. The bench, also comprising Justices AM Khanwilkar and DY Chandrachud, has disposed off all the petitions and applications pending before it. The Supreme Court further said the Rs 750 crore it had directed JIL to deposit in the court registry - in order to protect the interest of homebuyers - shall be transferred to NCLT Allahabad. The fresh Committee of Creditors (CoC) that will now have to be set up will include homebuyers. As the Additional Solicitor General (ASG) previously pointed out, homebuyers are now considered financial creditors under the amended IBC. Hence, the CoC, which usually included banks and FIs, will henceforth have to consider the views of homebuyers while deciding the resolution plan of a company. Compounding the Jaypee Group's woes, the apex court also allowed the Reserve Bank of India to direct the banks to initiate separate insolvency proceedings against JAL. In the previous round of bidding for JIL, Lakshadweep Pvt Ltd, a joint venture between Sudhir Valia-led Suraksha Asset Reconstruction Company and Mumbai-based Dosti Reality, had emerged the front-runner with a bid of around Rs 7,350 crore. But plenty of disgruntlement followed since the bid was far lower than JIL's liquidation value pegged at Rs 15,000 crore. Can JIL's lenders get luckier in the second round? That's seems slightly far-fetched at the moment given that the beleaguered company posted a net loss of over Rs 1,818 crore in the year ended March 31. In fact, according to the Supreme Court, it was estimated that the liability of the firm had snowballed to Rs 30,000 crore from Rs 2,000 crore.